It should have been a morning like any other morning for Susan Lantz, but there was something off about it. She knew she wasn’t feeling quite like herself when she got up and she tried to shake it off. She also noticed that the vision in one of her eyes was a bit off. She continued with her plans for the day, trying to ignore the weird feelings. One of the stops on her day’s itinerary was at the local pharmacy to pick up some prescriptions. 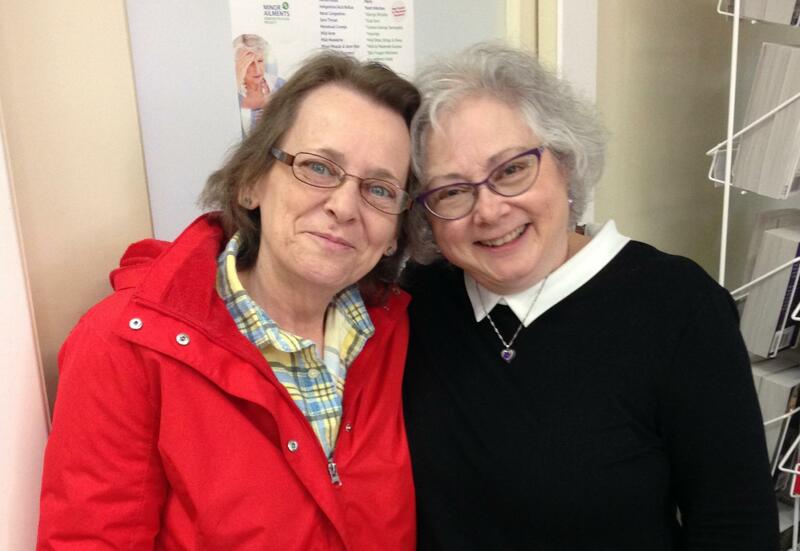 Mahone Bay pharmacist Susan Beresford was working that day and the moment she saw Susan she knew something was wrong. One side of her face was drooping and she was slurring her words. At first Ms. Lantz didn’t believe the pharmacist because she thought she would know it she was having a stoke or not. But, she says, because she had such a good relationship with Ms. Beresford she trusted her judgement. At the hospital, the physicians confirmed the pharmacist’s diagnosis and immediately administered treatment. Months and months of rehabilitation followed a stay in the hospital, and today Susan Lantz is feeling good and happy to be alive. She says its all due to her pharmacist. Of course, for Susan Beresford, she is just happy that was there and able to help. “I became a pharmacist to help my community,” says Ms. Beresford. The Canadian Heart and Stroke Foundation says people should think about the acronym F.A.S.T. 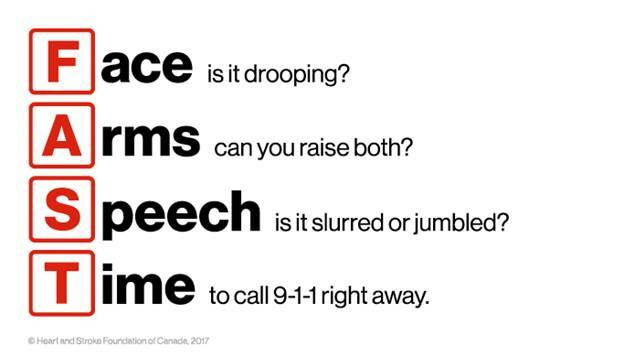 if you think you or someone who know is having a stroke.